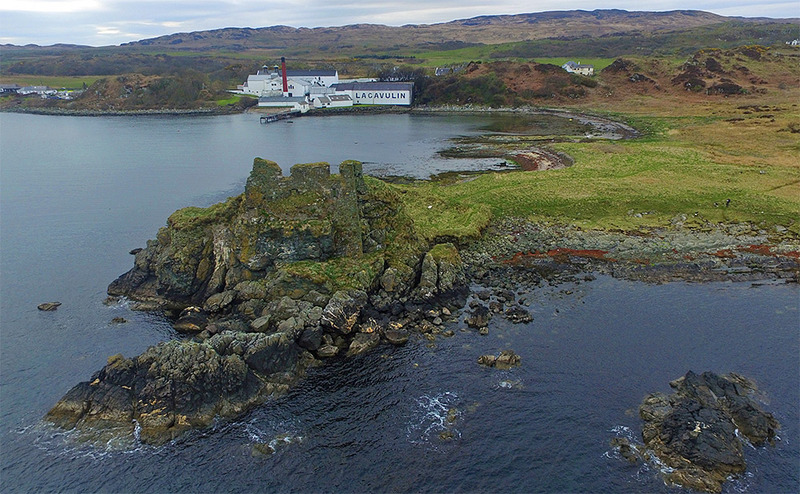 An aerial view of the ruins of Dunyvaig Castle on the south coast of Islay with the much better preserved buildings of Lagavulin Distillery in the background. This entry was posted in Beaches, Cloudy Weather, Distilleries, Islay from the air, Landscape, New Post, Sea Loch, Village and tagged Dunyvaig Castle, Islay, Lagavulin, Lagavulin Bay by Armin Grewe. Bookmark the permalink. The resulting photos look great.